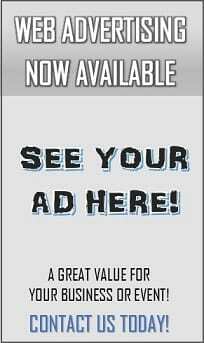 ADVERTISE IN OUR MOTORCYCLE MAGAZINE TO MAKE MONEY! Since 1989 MOTORCYCLE TIMES has provided grassroots coverage for motorcycle communities in Pennsylvania, Maryland, Virginia, West Virginia, Washington, D.C., Delaware and the DelMarVa resort areas. Our motorcycle magazine provides local and national coverage of motorcycle news, events and products. Because it’s available in print, online and social media, it is the place to get the word out. Let people know about your motorcycle business and event. Motorcycle friendly businesses like diners and restaurants, hotels and campgrounds, museums and other things to do are found here! Basically, anywhere motorcyclists like to go! Let us know and we can help you share it! When you advertise with us you help support charities in your communities. MOTORCYCLE TIMES donates directly to The Eastern PA Ride For Kids and The National Kidney Foundation plus many other charities. Your paid advertisements are directly responsible for this. You allow us to make our contributions to these charities. 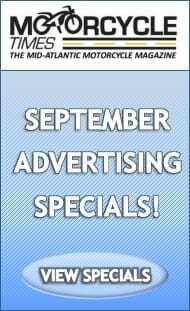 CONTACT US if you’d like to advertise. Thanks for helping support and grow our grassroots community. Thanks for making us the premier free motorcycle magazine in the Mid-Atlantic Area for 30+ years!